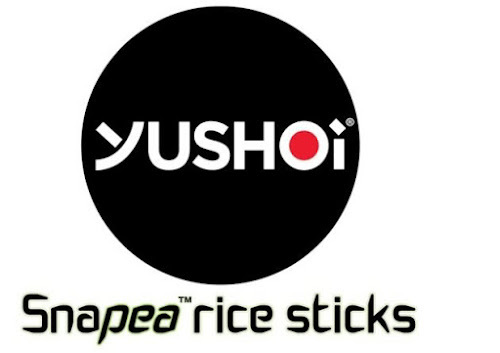 You no longer need to give up great taste for products that are better for you thanks to Yushoi Snapea rice sticks, a delicious baked savoury snack made using green peas and rice, which has launched and is available from Tesco stores nationwide for £1.99 per 105g re-sealable pack. The baked snack, which boasts less than 99 calories per 21g serving, is high in fibre and a source of protein, nut and dairy free, suitable for vegetarians and vegans and has no artificial colours, flavours or MSG is set to be a hit with those who have a healthier agenda and prefer tasty nibbles that won’t pile on the pounds. Subtly seasoned in a range of mouth-watering flavours including Soy and Balsamic Vinegar, Smoked Salt and Szechuan Pepper, Sweet Chilli and Lemon and Lightly Salted, there are at least four reasons to add these to your basket during the next shop. Working with leading nutritionists, food technologists and health experts, Yushoi Snapea rice sticks has been developed to meet with the Governments criteria to encourage better eating habits, make choices simpler and address concerns in relation to obesity throughout the UK. With a full range of pack formats including 21g single serve, 6 x 21g multipacks and 105g re-sealable sharing bags these tasty snacks that are better for you can be found in Tesco, Morrisons, The Cooperative, WH Smith, Whole Foods Market, Selfridges and online from Amazon and Ocado.